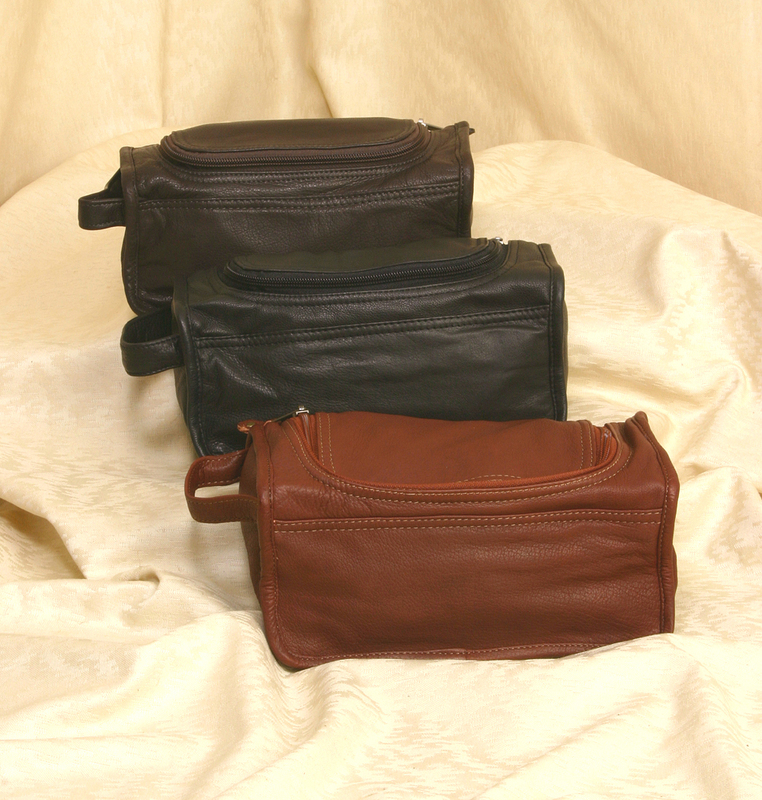 This Leather Travel Kit makes a nice Men's gift. Help him stay organized in style with a top zippered opening for easy access it is lined with a 420 Denier Nylon PVC backed material that is waterproof. Our Full Grain Leather is manufactured naturally leaving all scars and blemishes of the natural leather and is considered part of the character and beauty of the finished product. Imprint Area: 4" x 3"